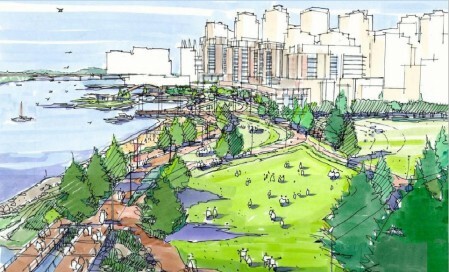 CircusWest is honoured to help open Vancouver’s newest park on the Concord Pacific Lands. Nestled between the Stadium and Science World, this new urban pop-up park will soon be the city’s newest place to enjoy the outdoors. CircusWest will perform on the new wooden stage at the grassy amphitheatre and have roving circus performers sprinkled throughout to delight attendees. Join us as we help celebrate the new park and circus all at the same time.